Home Statistics What does this stat say about Levy regime? What does this stat say about Levy regime? If you’re unsatisfied with the level of Tottenham’s spending this summer, you should perhaps not be so surprised. A statistic showing the summer spending of the Premier League’s biggest six clubs since 2012, reveals that Spurs have the lowest net transfer spend and that this figure represents the smallest percentage of total income. There are two ways to interpret these figures. The positive point of view is that the club are massively over-performing considering the level of spending. Though Chelsea come close to Tottenham’s 1% total of net income spending, with a surprising 4%, they have spent far more in transfer fees over this period, not to mention wages. 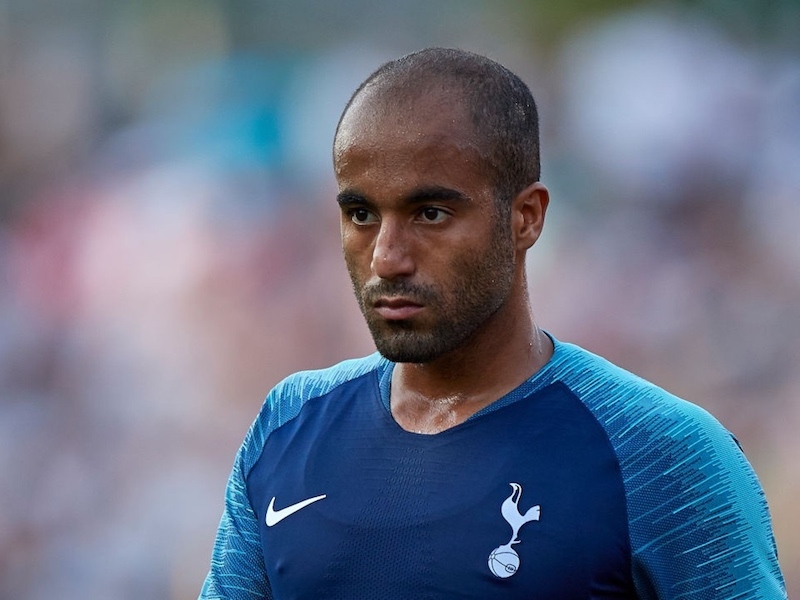 The flip side of the coin, is the opinion that even despite the fact that Spurs are building a new stadium, they are being overtly-cautious in the transfer market. Having achieved such success with minimal investment, one wonders what heights could be reached is the belt was loosened a little. So do you view this statistic positively or negatively? Let us know in the comments section. Business is a cold hearted process with little to no room for sentiment. Football fandom is irrational and renders the fan vulnerable to recklessness as a result. With the amount of money currently thrown at The Premier League, recklessness and a failure to learn from our previous mistakes viz. Paulinho et al Levy is right to prioritise the new stadium finances above the ridiculous amounts asked for a Pogba or Lacazette (hard to admit, but I’m with Wenger on that). £400 million is due to be paid over the next few years and reckless spending could leave the club bankrupt. Passion is wonderful but transient – her today, gone tomorrow. The new stadium leaves out future income assured. The academy currently provides sufficient talent to assure we stay in the Premier League. Together, these will make Spurs the equals of Barca, Manyew and Munchkins in about 4-5 years. Patience is a virtue. We have started the stadium build and can’t change the finances of the business plan now. This is not like getting a local builder to come in and put in a loft extension. All well and good but a new bigger stadium requires filling and only a successful team can meet this not a failing team bordering on relegation as most teams are strengthening considerably. You hit the nail on the head. Being prudent to safeguard the future of the club is paramount to build for the future viz. new stadium, academy etc.. The business structure is in place and we have developed ‘world class’ players whilst maintaining a realistic wage structure. Not to forget also securing Wembley for CL this season and all home games next season. A masterclass from Levy ensuring it will be filled by reducing the prices and package deals for all 3 games. Furthermore, the regeneration to the White Hart Lane area (especially tube network) can only be another positive for us Spurs fans who I believe have oftentimes been made to suffer from poor management. It seems the board have considered the fans and listened and for that I congratulate them. What’s the point of having a 60,000 seat stadium if once we are able to play in it we are a mediocre mid table side. Stars like Kane, Alli, Dier and lloris won’t stick around forever if we continue to pay them peanuts compared to what they would receive elsewhere. I’m not saying blow money now and disregard the future completely but there has to be some compromise. If not this will lead to us losing not only our manager but the stars I previously stated. To reply to Bradley: We already havel stars like Kane are receiving 100k a week so how are we not paying them enough? Dier is about to get a raise to 75k a week, with Lloris set for an upgrade. Spurs are slowly on the rise, and have been ever since Mr. Levy took charge. I agree with this article that fans can get over zealous and irrational when it comes to spending money. 30 Million on one player was enough to build one of the world’s best training facilities. These outrageous fees in which I also agree with Wenger are not sustainable. Tottenham is doing it right for the long term and anybody who disagrees is a foolish fan. Stats like this mean SFA as they can be twisted to mean even climate change, however for once I agree with the OP. Thirdly: do read Wenger’s many comments on how the new stadium will “cost” us in transfer capability. What would be good to know is, by how much has net spend increased each club’s revenue? I.e, if I spend 1to make 4 then I’m a good businessman, if however I spend 10 and make 40, whilst the percentage increase is the same i have in fact made more in cash terms, considerably increased my revenues, made my business a much larger, more attractive entity and still have cash over for say a new stadium, would this not make me a better businessman? I’m sure some will say that I need 10 in the first place but if I was to tell you that I have a lot more than 10 however I have decided not to use it, what would that tell you about my ambitions for this entity, which is just one of many that I own? Would you think that I’m an astute, clever and strategic businessman even if we both know that in business you speculate to accumulate and that I’ve made a fortune following this mantra before? Maybe you could think that I have bigger fish to fry elsewhere and I need something to keep an annoying family member occupied so that he can’t do any damage to my main business or think that it doesn’t matter what you think because it is what it is and moaning won’t change that. What it means, is that ENIC are making a vast profit. And with a new stadium, the amount of profit they make will rise exponentially. We weren`t building a stadium four years ago, yet we were turing a profit on the transfer market. It`ll be exactly the same AFTER the stadium`s built, only the justification will be different. It`s the way Daniel Levy works. Let’s be clear, Levy and his crew are in this for one reason only, to flog the club when television revenues are maxed out and the stadium is or is due to be completed. At that point the club will just about have reached it’s maximum entity value and some American or Chinese group will waltz in and hock the club up to it’s eyeballs. If you think transfer spending is a challenge, wait till the club is stuffed full of debt and streaming technology has rendered the television contracts worthless…then you really will have something to moan about. Spot on! It’s so sad to read the happy clappy levy groupies chatting deluded nonsense,u ain’t fans ur accountants,once the stadium is built NOTHING WILL CHANGE,levy n his enic buddies have ZERO interest in winning trophies they r a cancer for the club the quicker they r out of Spurs the better!! Twisted stats as this show a net spend once you have taken the income gained from out going transfers, Most of the teams above us in that table have took big losses on players leaving whereas Levy very rarely lets a player leave for less than he paid therefore he is infact spending the money the club makes you know like a real business. Basically this stat means ONE thing only. Levy ONLY cares about his profit margin and not the football side where will all care about…. We will NEVER do anything until Levy leaves, quicker blinkered fans realise this the better!!! When Sol Campbell left Spurs to join a club which showed ambition in winning trophies the hate he received from “fans” was disgraceful.All those who commend ENIC for running a good profitable business will have to face the future when the likes of Alli,Kane,Lamela will also leave Spurs to join a club which satisfies their own ambitions.What is the motto of Spurs! We will be the same as we are now all through the next decade getting a stadium won’t change a thing levy won’t spend. Seems like we are going to follow the lead of the scum and always be one or two world class players away from having a great team. William – if we are the best run club in the top 6 why do we never win any trophies?! Surely success on the pitch relative to the size of the club must be a factor in being a ‘well run’ club. One league cup during ENICs long tenure should not be something to be proud of. ps hopefully you were being ironic! I don’t get this ” best run club” nonsense. We could have competed regularly in the champs league if we had invested more on quality players when we had the chance. Instead when we did have £100 mil to spend we threw it away because we couldn’t get the best. We don’t need to be reckless but we do need more quality. And wasting 10 mil on players like Njie and son soon add up. Net spend mrans after we sold. There was a lot of dead wood. Have a look at gross spend. Also, the transfer window has not yet closed. The new stadium was vital. I think we have to face the reality that football is now a business and no longer a sport solely for the enjoyment of the fans. From the fans perspective we want to see our team be successful and play attractive football. The owners of the clubs are business men who place profit above all. Spurs have benefitted off the field with the ENIC ownership under Levy, but at the cost of success on it. It’s a fine balance to be winners on the pitch and losers in the stock exchange and the figures show Spurs have put the bank balance ahead of the trophy cabinet. As in all things, compromises need to be made, however the business side does seem to take precedence at the club. Just look at the wage bill and transfer dealings and you have all the evidence needed to prove this. So extremely tired of reading that this player or that player WILL leave from fairground fortune tellers posing as football fans… Who have we lost exactly? Judas to the scum was a long long time ago, our next No.23 went to manure, then we’ve lost 2 star players to the biggest club in the world. These prophetic statements are pathetic statements without any remote sort of grounding or basis on any fact or knowledge. For facts to base predictions on you need to look retrospectively at the progress the club has made. We were almost in UEFA Cup places and crossing our fingers every year waiting for the fair play tables. Now we have secured a top 4 spot and can safely say we are part of the Top 5 based on consistent league finishes. All this time the infrastructure of the club has improved so dramatically that we now have some of the best facilities in Europe, let alone the country. Keep your half empty glasses, I’ll keep topping mine up and drinking to another successful season. What a load of patronising sycophantic rubbish.Another successful season by being third ie money in the bank,with fantastic training facilities…wow that will attract the youngsters to support our club.Success is built on winning something not just being a contender…go and ask a Leicester fan. Mas it’s pointless arguing with the levy groupies,they have been totally brainwashed into thinking balancing the books is a trophy,pathetic! Best run club in the league without a doubt. Well done to all the Spurs fan who appreciate Levy’s excellent work. The new stadium will not be the panacea for all our trials to come, but it certainly won’t hurt! Reading some of these post has confirmed what I have known for a long time. Spurs supporters have a losing mentality. This season we are in the Champions League and we had an opportunity to strengthen the squad with quality players as well as the two players Wanyama and Jansen. Every club around us with ambition has strengthened.Man U, Man C, Chelsea, Liverpool and even Everton. I cannot see us winning the PL or finishing in the top 4. That brings its own problem as players we have with ambition will want to leave. We lost a good man in Paul Mitchell because he’s personal ambition was greater than Tottenham’s board. All the time we have a wage structure like we do we will win nothing. We will have a beautiful stadium with an average team .Change your mentality Spurs supporters and stop thinking finishing 2nd,3rd or 4th is success. In my eyes Levy is spot on, get rid of the debt and pay for new players through income, build a team for the future and as long as an improvement is made each year we can ask for no less, beware of the gutter media and fan sites being negative. What debt?build a team for the future..how? when top players are sold on….am I missing something here.I want to see my team compete with a manager who within a budget can achieve a cup win or two.Levy has spent so far about 28 mill. and received about 9 mill in player sales.Where is all the record TV money etc why has a much admired scout left but these questions are unimportant as long as ENIC get their management fees and so called FOOTBALL fans sleep well at night knowing that their club is well run financially. Agree. Very well said. Big spending beyond our means will only hurt the club in the long run. Making a profit definately is not a bad thing. Spending til bankruptcy is a very bad thing tho. ENIC’s ownership is not a cause for celebration. Joe Lewis is the third richest man ever to own a football club, yet for most of the past decade THFC have been the lowest net spenders in the PL. For some unstated reason, the new stadium must also be built without any resort to 76-year-old Joe’s tax-proofed $4 Billion. And by the time it eventually appears – 2018-19 at the earliest – Arsenal will have had the benefit of a near identically-sized stadium for at least 15 years. But rather than this provoke questions about ENIC ownership, it has seen them routinely lauded for running Spurs ‘the right way’. It seems we were lucky enough to get the right kind of multi-billionaire owner. The kind that refuses to invest any of his own money in the club, and gets praised for this refusal. Joe must be laughing all the way to the super-yacht showroom. FFS, stop this idiotic Levy bashing and grow up. It is so boring and nonsensical. There are those among us who would be better served following the Russian owed club in West London or the Arab owned club from the sky blue part of Manchester who after 11 and almost 50 years of misery respectively, have suddenly found a voice. Please, go join their happy throng. I agree that at times in business you have to speculate to accumulate but not to the detriment of future growth of your business and in the case of Spurs, that future growth is our flourishing academy and the talent it’s producing, talent just waiting to burst onto the scene and a super stadium to exhibit those talents alongside the existing stars that we already have. How many of these boys will have a chance if our club suddenly decide to spend untold millions on a couple of so called superstars who demand first team action solely because the club has spent spupid money to acquire their services. Just look at the two clubs I mentioned above, Chelsea and City as an example, where are their undoubtedly talented youngsters. I’ll tell you, stymied by the arrival of mega bucks players who have halted their progress. The two clubs mentioned are not guaranteed succes because they have spent stupid money on the so called superstars. Granted they will be or should be hovering around the top of the league but there are no guarantees of successs. Leicester saw to that last season. Clubs like Chelsea, City and United will continue having to spend a great deal of money on an annual basis just to keep the fans happy, its a trend now just trying to remain at or around the top spot. I bet all three wished they didnt have to. The rest of us are breathing right down their necks without having to spend stupidly and we can beat anyone on our day. Look, any business is a calculated risk but if built on sound foundations and with careful planning, the risk is minimal. I’m not saying that we shouldnt buy players, God knows each and every one of us would like to see exciting additions come in but they have to be the right players to fit the system and at the right price, not some vastly overpriced mercenery. Remember when Levy and the board not so long ago splased out stupid money, all of the supposedly Bale money, on seven new players? Where are the majority of those players now? The Levy bashers would and have said that he spent the money unwisely which in my opinion is true but I’m sure that Levy went against the grain in the vain hope of appeasing the fans who continue to call him tight and occupied with self interest. Somehow I get the feeling that some within our ranks would love nothing better than to see the club flirt with relegation so that they can vent their entire spleen on Levy and ENIC. The club is moving in the right direction once again with careful planning and will only get bigger, better and stronger however, I guess that would never be enough for some. I suppose they would prefer our Chairman to be like Peret Ridsdale, the man who spent and spent and spent during his time at Leeds United. He spent so much that he literally bankrupted the club and as a result, that once great club has tumbled almost to extinction and have not fully recovered to this day. Think about it. Silly comparison. The money Risdale spent on Leeds was all borrowed from banks. Tottenham, by contrast, are owned by one of Britain’s wealthiest individuals, who’s spent next to nothing of his near-unspendable fortune on Tottenham in two decades. Somehow, this inspires self-righteous satisfaction among many Tottenham supporters – who’d rather fanatically defend the hoarding of huge private wealth than see a penny of it spent on their trophyless club. Silly man,don’t point the facts.Feel the glory. The levy groupies always bring out the risdale/Leeds scenario as their defence,beyond boring! The reason Spurs have barely won anything over the past 20 years or so is that the club was nearly bankrupted in the early 1990s. Our best players, Gascoigne, Lineker, Waddle were sold off just to maintain solvency. It is only in recent years that a club that was once one of the richest in the country has turned the corner and is again competing at the highest level. Football is a fickle business but don’t underestimate sound economic management. Manchester City and Chelsea were mediocre until billionaires bought them out, Arsenal and Manchester United achieved success with continuity of management and sound finances. Nothing is certain but Spurs have a better chance of success if they continue to build slowly rather than running out and buying a 100 million pound player in the hope of instant success. In the absence of someone wanting to throw unlimited cash at the club Tottenham are best off sticking to the gradual re build process. One cup in 16 years.Feel the glory..We are up there with Birmingham ..
Hopefully people have mentioned Leeds and the training ground. The followers of Daniel have spoken. Spot on Mkkid,the cult of Daniel is alive n kicking,his followers SHAME our club…. Its a shame you only picked up on the Ridsdale comment and nothing else but as you did, lets reflect on that a little shall we. What did Ridsdale accomplish with all that spending? Nothing but pain for Leeds United which emphasise my point in that you dont have to break to bank to be successful. Whats needed is wisdom and careful planning, spending what you can afford. Back to Ridsdale. In 2003, Ridsdale resigned, leaving the club in total disarray with all the money he borrowed on behalf of the club, some from the banks, some from a private investor and some of it his own money. Because of his stupidity and short sightedness, he over reached and came a cropper. So much so that the club had to sell most of its assets including the ground on a 25 year lease back deal in order to pay back its creditors and have a ground to play their matches and thats not the worst of it, the man actually sold the ground to Teak Trading Corporation who are based in the British Virgin Islands 15 months earlier. Their best young talent also had to be sold (We bought Aaron Lennon and later Danny Rose from the stricken club). We dont want any of that nonsense happening to our club. Its all well and good having mega rich owners who could afford to throw money at clubs like confetti. Abramovich is reputed to be worth $8.3 billion through owning tax free oil & gas fields back in Russia and thats not to mention his other shady dealings in that country backed by their president. City owners are even wealthier with their Sheik benefactors to bolster them. We cannot compete with their wealth and wont. We cannot afford to pay players £150K to £200K + per week. How do you know that Joe Lewis isnt contributing towards Spurs growth and development. All this privately raised funds could well be a rouse, we just dont know. Because of his personal wealth, he could also be used as a guarantor to getting our super stadium built. He may even have contributed. The man like Levy, is intensely private. None of us know, unless we are privvy to board meetings which we are not. I do know that I would rather be supporting our club as opposed to a club habitually fighting against relegation season after season. I am not a levy or ENIC lover just fed up of hearing so much nagativity about the pair when this club is on sound footing because of them. I would however, liked it to have been done sooner but patience is a virtue. Careful planning is a great strategy so long as it’s followed by decisive and imaginative action otherwise it’s just an excuse for stagnation. Levy has been good in parts but his inability to carry through deals to sign new players has been frustrating and harmful to the progress of Spurs. Not looking for Pogba type signings but am expecting identification of ideal targets that fit with the manager’s plans followed by swift recruitment so that they have time to bed in and are ready to work with the rest of the squad from the start of the season. What Levy does looks more like prevarication and self defeating penny pinching. Spurs are a football club and the core objective is to win games and trophies not act as a paragon of a well run business. I believe like many others that ENIC and Levy have got the balance wrong. If they want a business that generates shareholder return and large bonuses principally for their own benefit they should sell up and get into paydays loans or running a mail order sportswear company where their sometimes mean spirited and bullying approach does not follow a law of diminishing returns.